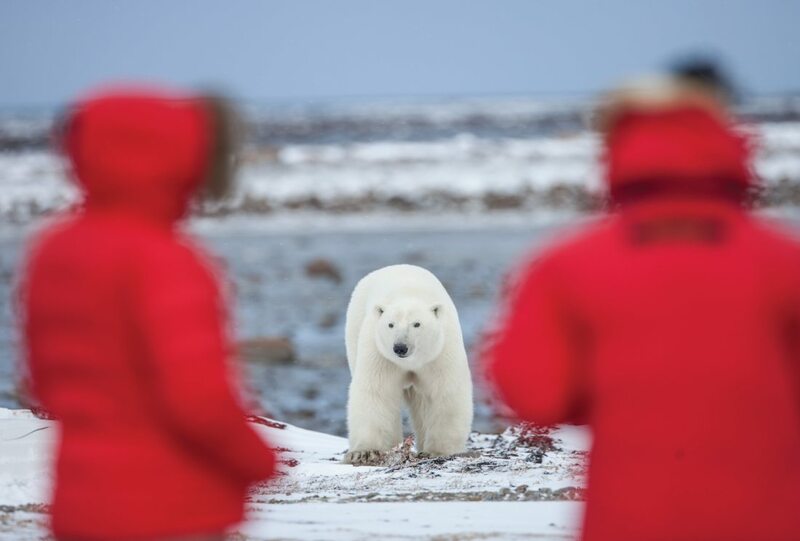 In October and November, we have incredible opportunities to view polar bears in Nunavut, just north of Churchill, MB, as they roam the tundra waiting for the first sea ice to form. View and photograph these Arctic icons close-up, from ground level, at our remote cabins situated in “polar bear alley”. Gaze into the eyes of majestic polar bears and get chances to view other Arctic wildlife including Arctic fox, Arctic hare, Snowy Owls and more. Plus, if the conditions are right, witness the magical Northern Lights at night.